(09-02-2012, 12:01 AM)jesalvein Wrote: hit F9 key ? tried that, cycled through all the options, only really changed the frame rate. 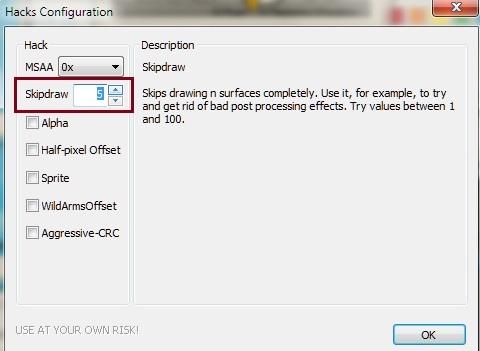 Set Skipdraw Hack to 5 as mentioned in above post. 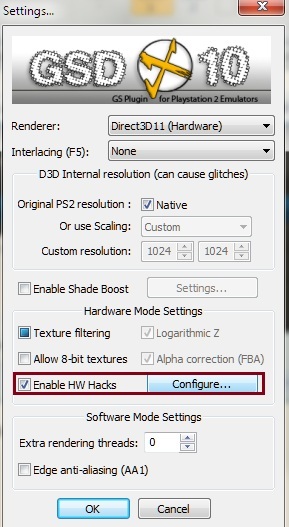 In newer versions you may have to check "Enable HW Hacks" in Config/Video/Plugin settings, then click Configure to set the Skipdraw value. 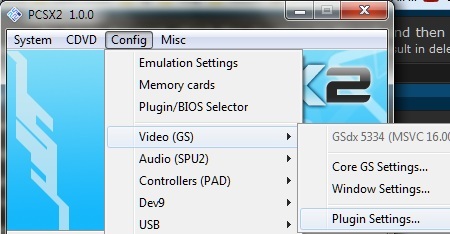 (09-02-2012, 12:11 AM)Mullen71 Wrote: tried that, cycled through all the options, only really changed the frame rate. F9 works fine (with my NTSC iso at least). What is IGP? I play teh game using the Intel HD4000 on a 3570K. Very happy i bought that CPU, it's so nice for PCSX2. Integrated Graphics Processor, which is what the Intel HD4000 is, it's integrated in to the CPU. idiotic me didn't see there was an PCSX2 update. Current time: 04-20-2019, 08:45 PM Powered By MyBB, © 2002-2019 MyBB Group.